“The tragic fire at Notre Dame Cathedral strikes the hearts of not only the worldwide Catholic community, but of all people of faith and good will, as this treasured house of worship that has seemed so timeless in its enduring presence is changed forever. I was privileged to visit Notre Dame Cathedral with my mother and father in 1993 and again with several priests of the Diocese of Scranton in 1997. The loss of this grand and noble sacred place in so many respects is a reminder of just how important our own parish churches are to us as we journey through life. 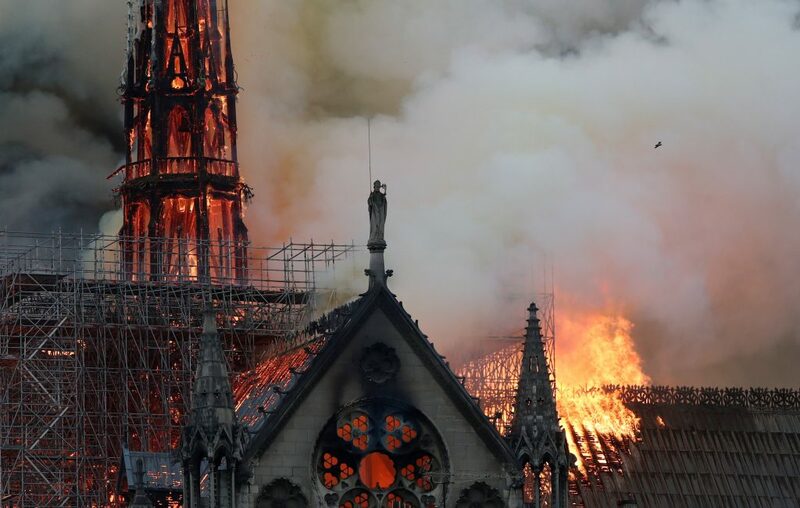 For as devastating as this loss may appear to be, as Christians we profess that there is always hope through our faith in Jesus’ life, death and resurrection – the same faith that gave the great Notre Dame Cathedral its soul and life! Most Rev. Joseph C. Bambera, D.D., J.C.L.